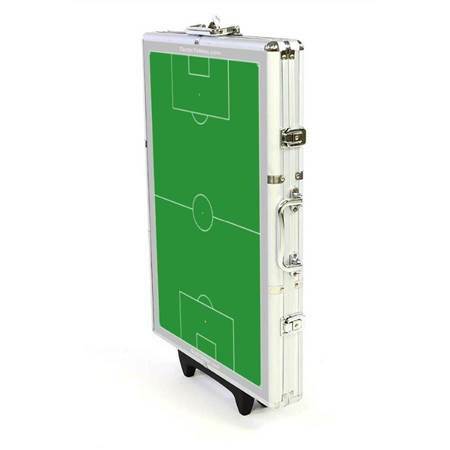 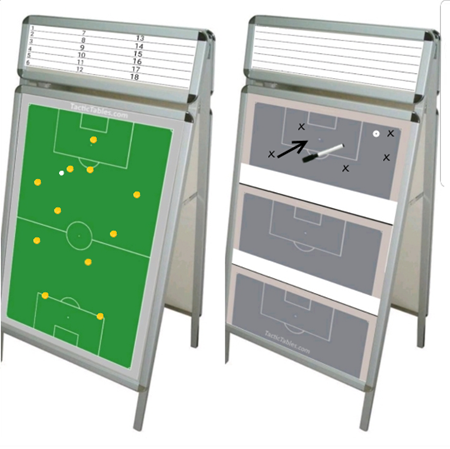 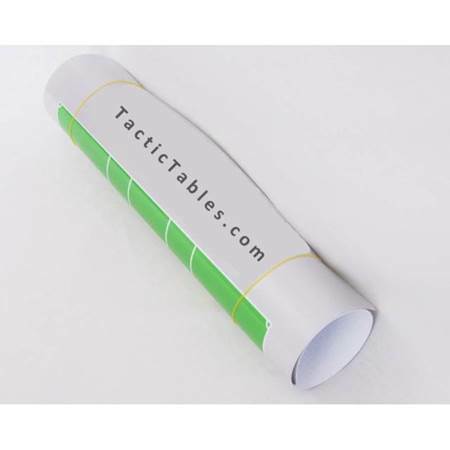 Ideal tactics flip chart board for use in the dressing room, dug-out or on the traingground. Set it up like a tactics flipchart. 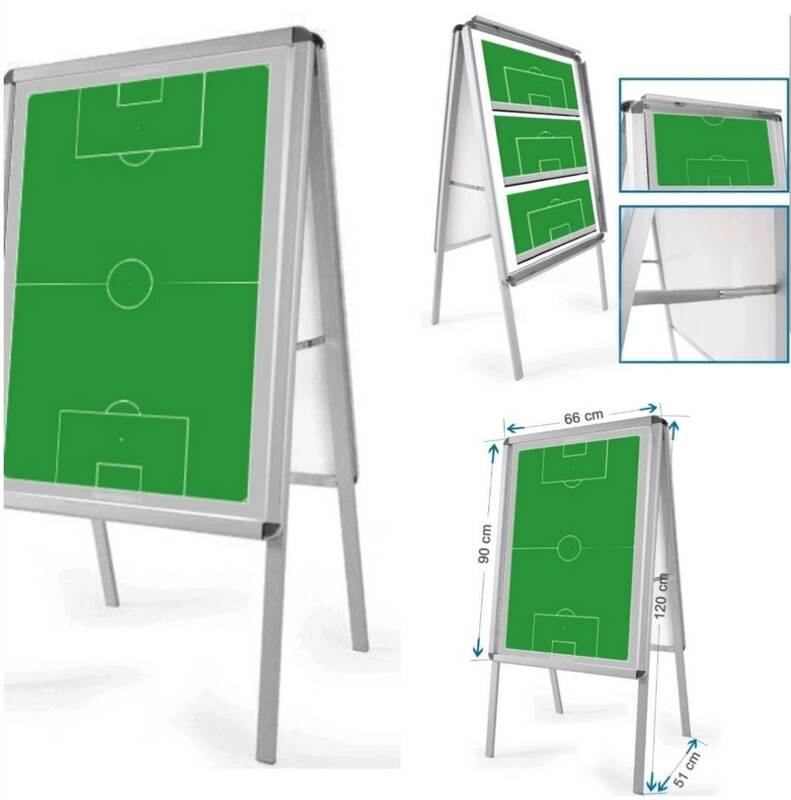 No need for charts. 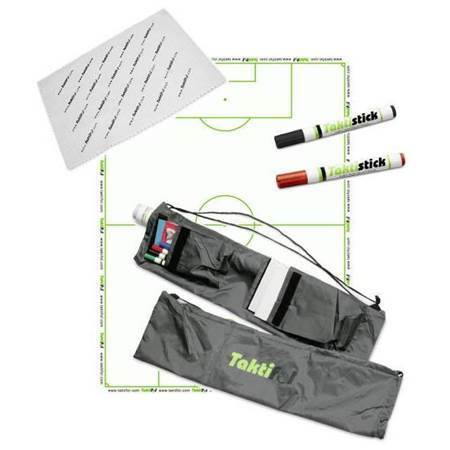 Use one side with magnets to discuss tactics and write down notes for set pieces like free kicks and corners on the other side.